Papa John’s (NASDAQ: PZZA) shares rose by over 12% on Monday morning after it announced that Starboard Value made a USD 200 Million strategic investment in the Company with the option make an additional USD 50 Million investment through late March. As part of the investment, Papa John’s Board of Directors is also expanding to include two new independent directors. Jeffrey Smith, Chief Executive Officer of Starboard, will join Papa John’s as well its Chairman and Anthony Sanfilippo. Papa John’s said its in press release that the two bring forth experience in the restaurant, retail, and hospitality industry. 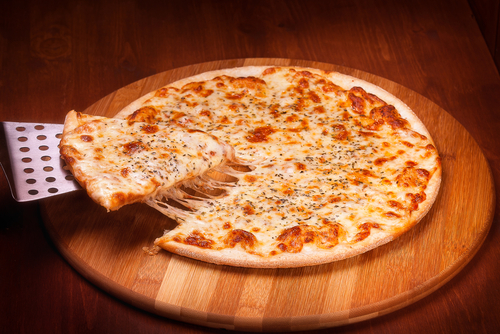 The Company noted that these two new executives will further expand upon its value, positioning to become a better pizza company. The Special Committee was formed to review the matter regarding Papa John’s founder John Schnatter last year. Schnatter stepped down as Chief Executive Officer back in 2017 after the executive was involved in numerous scandals including the use of racial slurs on a conference call. Despite Schnatter stepping down as the Chief Executive Officer, he still remains on the board of directors and holds approximately a 30% stake in the Company. Papa John’s stock price began to fall from it’s all time high back in late 2016, when it peaked almost USD 90 per share. Schnatter blamed the National Football Association and the ongoing protests then for the Company’s weaker sales, which caused controversial issues. Since Papa John’s all time high, its share price has fallen by 53.1% leading into Monday’s opening price. The Company has also considered the sale of the business, however, it abandoned the plan after receiving offers lower than its expectations. Now, with the investment from Starboard, Papa John’s intends to use the proceeds to repay debt. With the remaining proceeds, the Company will provide financial flexibility that enables it to invest capital further to advance upon its strategic priorities: People, Brand, Value/Product, Technology, and Unit Economics. $PZZA bought weekly $40 calls on Friday at $0.63. Sold today at $2.85. 🙂 Finally a decent trade. $PZZA didn’t realize they changed rewards program as it’s been months since my last order. It seems like they did a $SBUX. The program was pretty good before to not as good now…it really sucked for those that had stockpiled points. But, it won’t matter in time.